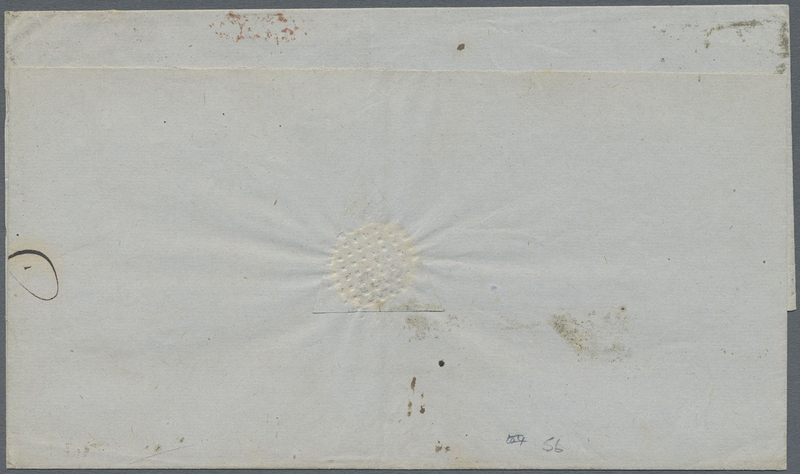 1856-64 India QV 4a. black and 8a. 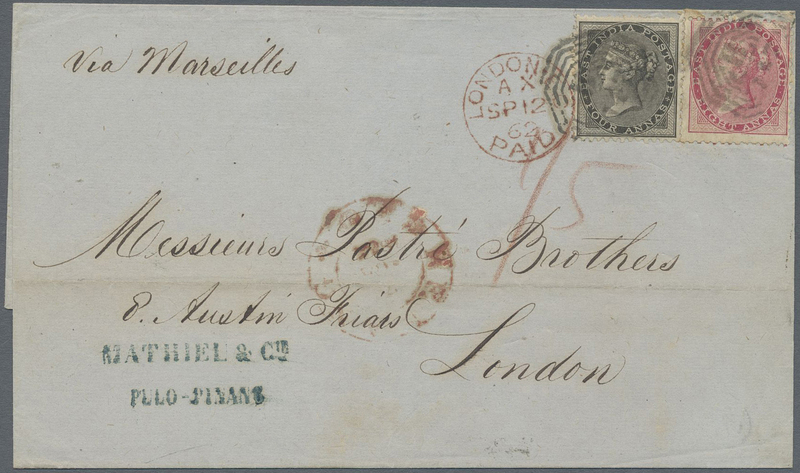 carmine used on 1862 cover from Penang to London 'Via Marseilles', tied by numeral "B/147", red double-ring datestamp "PENANG P.O./AU 8/62" and London '12 Sep 62' arrival cds alongside, fine, attractive and scarce.